Shake Shack Restaurant Lebanon, last updated on 3 April 2019 , is listed under Burger category. It was added to Lebanon Directory Rinnoo.net on 19 Febraury 2017 . Pages of Shake Shack Restaurant Lebanon on Rinnoo.net have achieved 5,162 views till now. Shake Shack® is a modern day “roadside” burger stand known for its delicious burgers, flat-top dogs, frozen custard and more. With its fresh and simple, high-quality food at a great value, Shake Shack is a fun and lively community-gathering place with widespread appeal. The first Shake Shack opened in 2004 in New York City’s Madison Square Park, and became an instant neighborhood fixture. Shake Shack’s mission is to preserve, and add our spin on the culinary traditions of classic American burger stands. Using the freshest high-quality ingredients, all of the food at Shake Shack is made to order (from burgers to shakes to everything in between). From its all-natural ingredients and hiring practices to its environmental responsibility, design and community investment, Shake Shack’s mission is to continually “Stand for Something Good.” We’re committed to extending hospitality beyond the four walls of each Shack and into the community, especially cultural and educational neighborhood organizations. Shake Shack is part of Danny Meyer’s Union Square Hospitality Group (USHG), which includes many of New York City’s most celebrated restaurants: Union Square Cafe, Gramercy Tavern, Blue Smoke, and others. 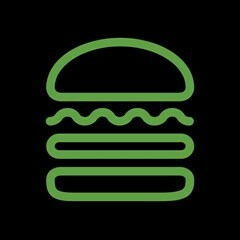 Shake Shack now has multiple locations in New York, as well as Miami, FL, Washington DC, Philadelphia, Dubai and Kuwait City.